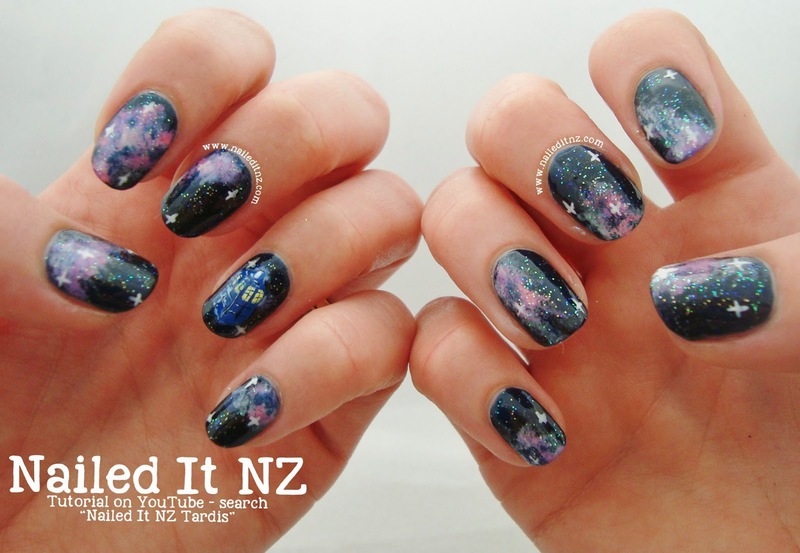 It's basically a tutorial for galaxy nail art as well, as that's the bulk of this design. Galaxy nails are relatively simple, but always look awesome (I don't think I've ever seen bad galaxy nails, ever) so I'm pretty happy with this design. The Tardis was the only part that was hard, but that was only one nail ☺. 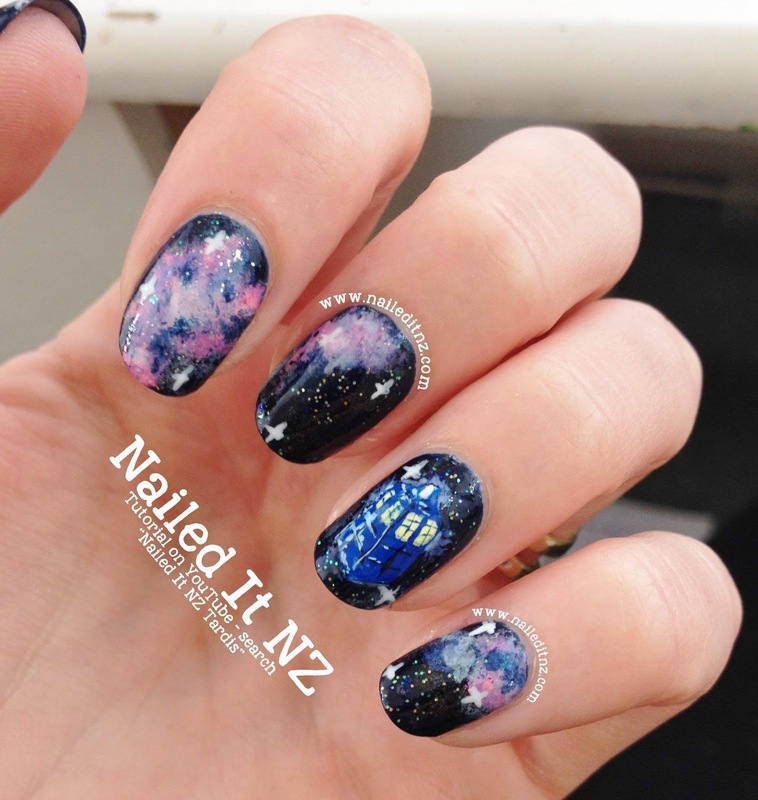 I've been making all sorts of plans for my next Doctor Who nail art! Can't wait! And next time I'll be sure to get better photos. I took a bunch, assumed they'd be okay and by the time I realised they weren't I had already removed the polish. Cue heaps of blurry pictures. The ones I have here are the only half decent ones. Hope you like my Tardis nails! If you're not already, remember to subscribe to my YouTube channel! It really is cute ! I love them! And so does my best friend who is a huge Dr. Who fan :) you're right, galaxy nails are always great. I think that Tardis came out cool--the "imperfections" give it a neat artsy, sketchy quality. So colourful and sparkly and timey-wimey! 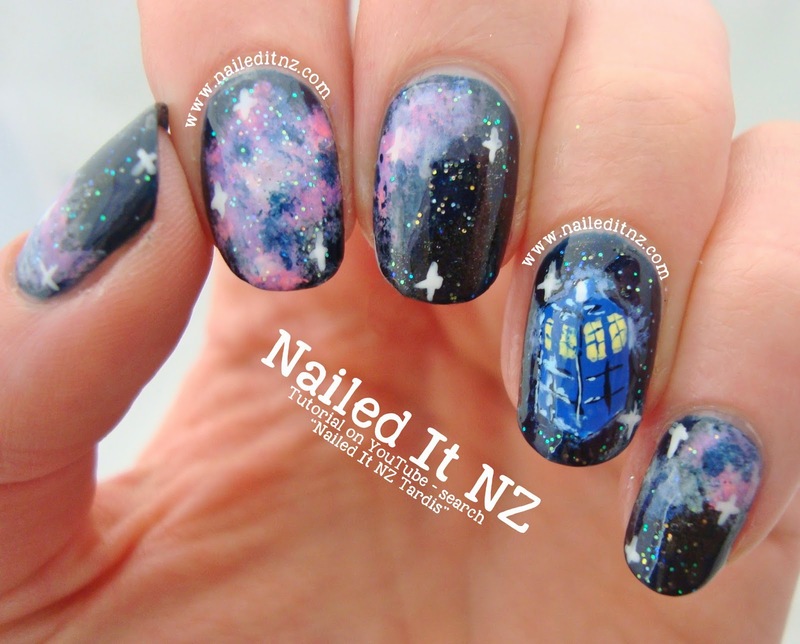 Love your Tardis nails.Please comment on my new post about these nails.